Hope didn’t ask to be born a tiefling. Hope didn’t ask to be born homeless on the streets of Waterdeep. 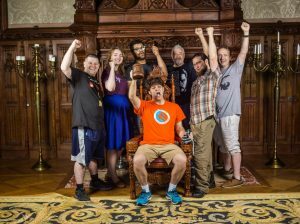 He grew up picking pockets and working as a lookout for the Xanathar Guild because his mother died when he was young, and the only person who would take him in was a one-eyed dwarf thief who went by Ma Grimmol. Ma Grimmol had a band of children working for her, and Hope showed a lot of promise as he rose through the ranks. 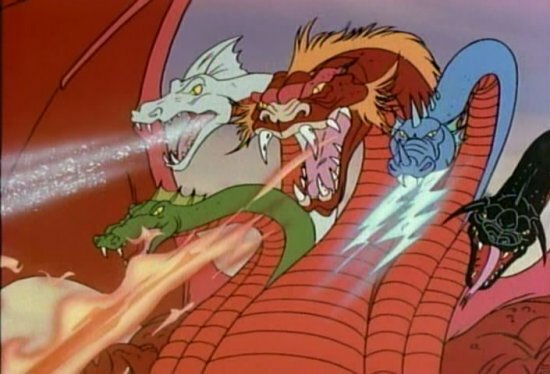 Then Tiamat came to power and everything changed. Those first months were rough. Refugees came to Waterdeep with nothing but the clothes on their backs. They had less than you. While the Xanathar Guild saw this as a prime opportunity to hustle some new folk, Ma Grimmol wanted to share the little she had. Hope stuck with her as she broke away from the guild, now an adult. He sheltered the refugees, helped them get clean clothes, food, and jobs. 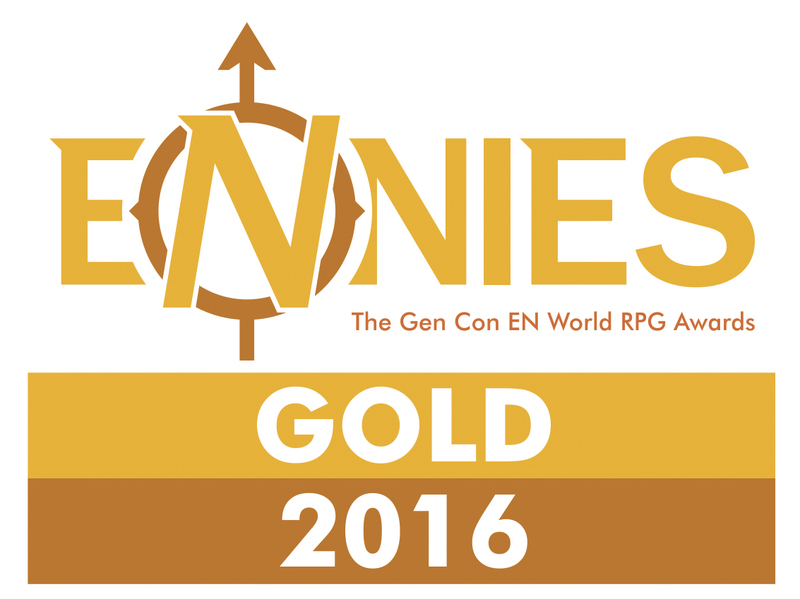 But the Xanathar Guild doesn’t just let people walk away. Ma Grimmol met her end at the tip of a poisoned crossbow bolt. They were coming for Hope next. So the tiefling did something he hadn’t done before. He prayed. It changed everything. 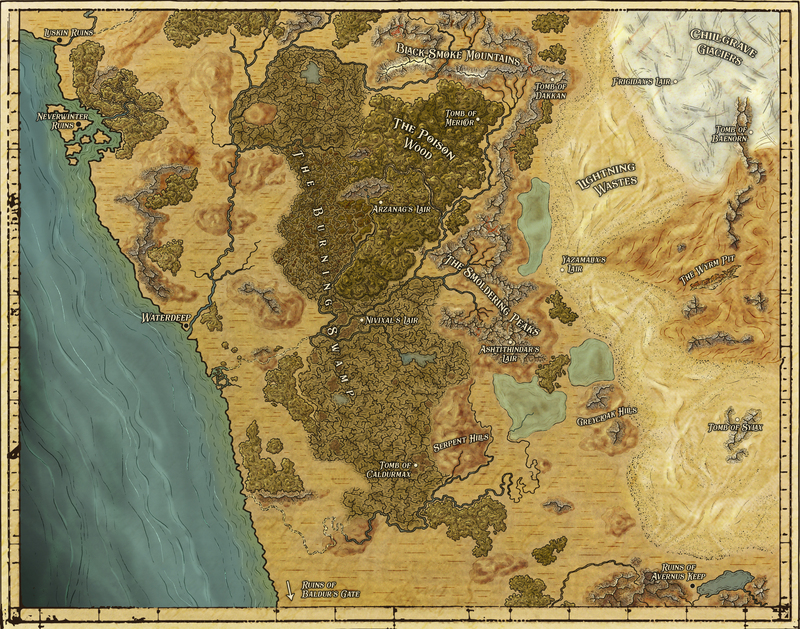 Milakiir’s parents immigrated to Waterdeep centuries ago to establish their glass business and raise their family. Through reliable production and moderate but long-term contracts, they have become some of the premier Waterdhavian glaziers (their competition has trouble competing with the cool-headed and centuries-long Rystacia business model). Born almost two centuries into her parents’ new life in Waterdeep, Milakiir has never known anything outside of the steady, comfortable, quotidian life as a merchant’s child within the city’s walls. Her parents always ensured she had access to anything she needed, but their family business never let them wander far from home. Milakiir always longed for something different; not just for adventure, but for recognition. A childhood as a shop kid accustomed her to an existence in the periphery, always watching the comings and goings of customers without being noticed. She learned to tastefully eavesdrop without attracting the annoyance of the mark or a thwack from her mother. As she matured, she became trusted enough to work the shop when her parents were pulled elsewhere. Here, her small interactions with customers allowed her to practice different modes of speech or presentation, testing out different versions of herself with different customers and weaving intricate stories about her life for that person to believe. She began tying the gossip she heard around the shop together and using these connections to make new rumors or leap to new conclusions, until she became a trusted source of fresh gossip in the merchant community. As she was approaching the end of her first century and the age of adulthood, she relished a future outside the confines of Waterdeep. 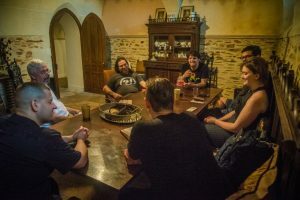 Several decades of testing her own abilities within the social circles of Waterdeep meant that she had her foot in the door with any organization that would open to her, and having decided that she had tapped this pool for all it was worth. The end of Milakiir’s adolescence was marred by the rise of the Cult of the Dragon, however, and her plans to rise to the top of the social circle were stymied by matters of mass extinction. Muut is a native of Chult, and triple agent (Dendar cultist, Savras Acolyte, Zhentarim) who trades in secrets. Muut is a bit disaffected with the cultist life, since the promised apocalypse never happened. Dendar seems to be in torpor now. 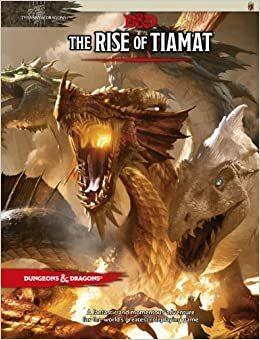 Waterdeep is a safe haven, but it won’t be for long, so any opportunity to set back the plans of Tiamat should be seized. Muut’s last assignment as a Cultist was to investigate a black obelisk in the town of Nightstone, while also scouting it out as a potential base for the Zhentarim. He met and befriended the town’s ruler, Lady Verosa Nandar. He was out investigating rumors of nearby goblins when the town was attacked and burned to the ground by dragons. Oddly, Muut feels a sense of loss in relation to this, and has spent the last several years trying to understand what these strange things call feelings are. Most of Muut’s contacts among the Yaun ti cultists have gone into hiding, but the Zhent are always around if you know where to look. Muut’s interests lie in amassing enough power to survive, or if possible, end the threat of Dragons, so that the Yaun Ti can rightfully rule. To this end Muut’s cultivated numerous contacts, friends, and allies. Muut is the friendliest Yaun-Ti you’re likely to meet, but that’s mainly because they take great pains to appear as humanlike as possible. 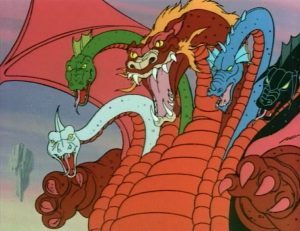 Tahrun was raised in a secret order dedicated to stopping Tiamat. His father Xavier Dahl was a renowned paladin of Bahamut in the order of the Talons of Justice. Great things were expected of Tahrun to follow in his footsteps but the words on the pages of the prayer books and the oaths always danced around in his vision. It was not easy for him to read anything. Tahrun was a great fighter but I failed at his daily studies. Thurien is an Eladrin anthropologist, who’s spent his two and a half centuries in the multiverse studying, cataloging, visiting, and appreciating the civilizations that inhabit most of the known planes. From the orderly bureaucracies of Celestia and the Hells to the chaotic, seemingly random societies that survive and thrive in Pandemonium and his own native Feywild, Thurien lives to experience and record other cultures. Thurien hails from Mithrendain, the Autumn city of the Feywild, and that places lackadaisical approach to time keeping served Thurien and his studies just fine. Time to study, and eventually journey to, other worlds and planes was exactly what he wanted after all. Eventually, Thuriens studies and tales of the fantastical societies he’d encountered during his short (for an Eladrin) life drew the attention of his betters in Fey society. It wasn’t long after that that he found that he’d gained a patron – a mysterious figure with all of the power of a true archfey. His patron showed his influence through the wide variety of mystical implements he granted Thurien – from implements of planar travel to magical weapons that reflected Thurien’s station as an agent of the archfey. With his patron’s guidance and resources at his disposal, Thurien was able to travel the planes with ease he’d never imagined – and this went on for many years. Eventually, however, Thurien became aware of Tiamat’s victory on the world of Toril. Quite early in his anthropological career Thurien had visited Toril, and Faerûn specifically, due to that world’s relatively high number of Fey crossings. To hear that this world – one of the first he visited – was in danger of losing it’s incredible diversity and becoming a more or less purely draconic world was anathema to him. With all haste he approached his patron in the established way, and informed them of his plans to intervene in this situation in Toril – surely a being of his power and with the resources at his disposal could make short work of this draconic incursion after all. However, to his utter dismay, his patron refused him. Thurien had become to valuable – too entertaining – to risk in such a minor conflict. After all, his patron reasoned, this world was no more special than any of the others of the scores he had visited. Thurien was therefore forbidden from visiting or intervening on Toril, though his patron did make an allowance for him to follow up on the world – in a century or two. For Thurien, this was unthinkable. And so he made perhaps the most basic mistake any warlock can make; He disobeyed a direct order from his patron and made his way to Toril with all possible haste. He arrived on the Prime Material plane quite near to Waterdeep just over five years ago, and he wasted no time in announcing – in typical Eladrin fashion – that he would save this doomed world from its recent troubles. It wasn’t until he was brought before the ruling council of the city that he realized his error. His patron had punished him for his arrogance – and he found himself reduced to a fraction of his former knowledge and power. Luckily, he was as valuable to his patron as they had told him; He wasn’t fully cast out from their graces. Perhaps most importantly, while he had lost access to nearly all of the magical implements and powers he once wielded, he was relieved to find that he still had the ability to call upon his patron’s magical weapons. And although he hasn’t had direct contact with his patron since he arrived in Waterdeep, it seems as though his patron must have decided that this adventure too could be entertaining. Perhaps, if Thurien proves himself worthy, his return to the Feywild could be as a hero, rather than as a fugitive or criminal. The Vul-Karatiki were traveling near mountain village of Parnast towards the Greypeak Moutains. Vorn nearing the age of 15 went out hunting alone and at the crack of daylight came upon the fresh remains of some sort of drake, thinking this could be his chance to shed the nick name “Last Born,” Vorn brought back the drake remains and claimed he killed the beast much to the delight of his clan. By the tonight’s fire you will be known as Vorn “Drake Smasher,” Vort “Chief Mountain” exclaimed. Nearing the end of their travel day the Vul-Karatiki witnessed a wonder that took their breath away, a flying Castle. Castle Skyreach under the control of Cult of the Dragon and lead by Rezmir the Black had just taken off from Parnast under distress, heroes had just tried to board Castle and were being disposed off in the Village. The Castle on high alert, saw the Vul-Kartiki clan and wanting to leave no witnesses to their departure sent out white dragon Glazhael “The Cloud Chaser.” Glazhael swooped down on the Vul-karatiki blasting them with her icy breath and then landing to finish them off. Decimated by the initial attack, Vort “Chief Mountain,” Vara “Sky Speaker,” and Varic the “Bear Claw” fought valiantly while Vasa “Dream Caller” ran and grabbed her youngest child. Dragging him from the fight, she flung him off the side of the Mountain, with her last words being, “Remember us.” Vorn tumbled down the side of the mountain landing on a ledge out of sight of the battle above but still able to hear the carnage happening above as the darkness of night fell upon his battered body. Vorn “Last Born” scaled the mountain the next day, coming to the massacre that had befallen the Vul-Karatiki clan. He found and buried the remains of his clan including his sister Vara the “Sky Speaker,” his brother Varic “Bear Claw,” and his mother Vasa “Dream Caller.” Only his father’s body Vort “Chief Mountain” was missing perhaps eaten whole by the Cloud Chaser, taken prisoner, or some other fate. The only thing found on the battlefield from his father was Vul-Karatiki chieftain shield, known as the tiki shield for short, it is a magical shield wielded by the chieftain of the Vul-Karatiki. Vorn spent weeks honoring his clan and during the Rise of Tiamat was too busy surviving out on his own, lost in a state of despair. Years into the New Age of the Dragon , one night Vorn had a vision as he dreamed, upon waking he was snapped out of his despair. That same day he left the safety of the Mountains he had always known. Many days out of the Mountains, he came upon the rest of the party. 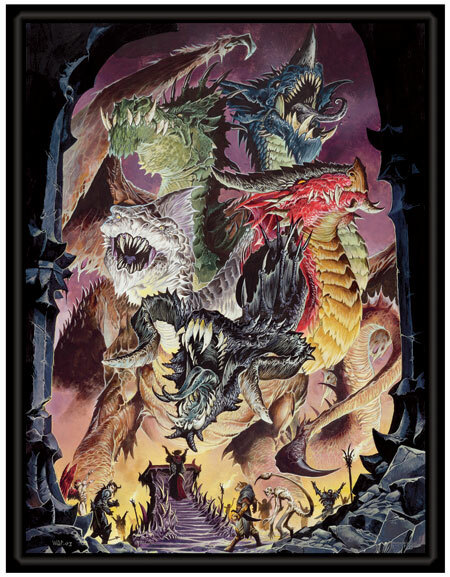 They brought him back to Waterdeep where Vorn found a safe haven, a place to fight the dragons, honor his clan the Vul-Karatiki, and most importantly companions he would call friends! A 28-page bullet point recap of our three-day game written by the amazing players!